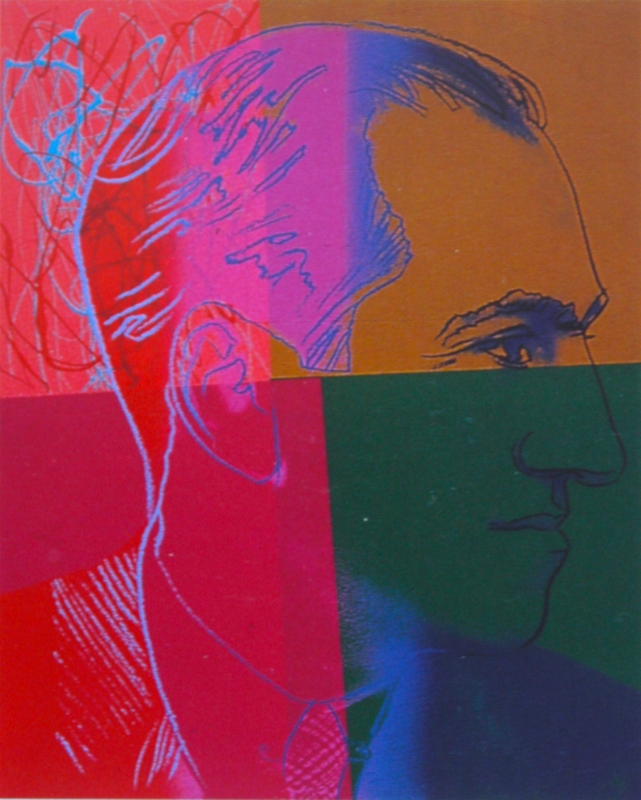 George Gershwin is a part of Andy Warhol’s Ten Portraits of Jews of the 20th Century. Warhol was prolific in creating portraits of celebrities and was well known for his fascination with fame. It is noted that Warhol’s portraiture tends to reveal only the surface of a subject, just their image. In this series of portraits, the type of celebrity Warhol deals with is not so glamorous or typical of his usual pick of movie or rock stars. Each portrait is of a very influential figure in either the arts, sciences, or law.